It was a beautiful warm, calm night in Trastevere, Rome. I was playing the Folk Studio - "Stuck inside of Mobile", "Darling be Home Soon", "Turquoise" etc. When I'd finished my set I stuck around to watch Sebastiao, a wonderful, funky/classical guitarist from Brazil who was big in Rome at the time. Gian Carlo, the owner of the club, and I shared a few Grappas before I headed off to a friends place on the Via Garibaldi - he was travelling and let me use his flat for a week or so. Very convenient as it was only a few hundred yards from the Studio. About 1am I let myself in and climbed the stairs leading to the Garrett. One room, with a bathroom and fabulous terrace overlooking the red tiled roofs of Rome. I crashed out and slept for maybe half an hour. I was woken by the sound of the bathroom door slowly creaking open and shut by itself - there was not a hint of breeze - stifling in Romes stillness. I stumbled out of bed to see what was happening. Then Bang - the shutters leading to the terrace crashed in, one off its hinges with the fury, shaking the few ornaments and drapes! Now then, I have fled before: the Como Vampire, Corsican Fascists in Nice, but never so quickly ! I tumbled down the stairs into the streets of Trastevere and ran to the Studio where Gian Carlo was winding things up. He and Gabriella put me up that night and didn't find my experience that strange at all. 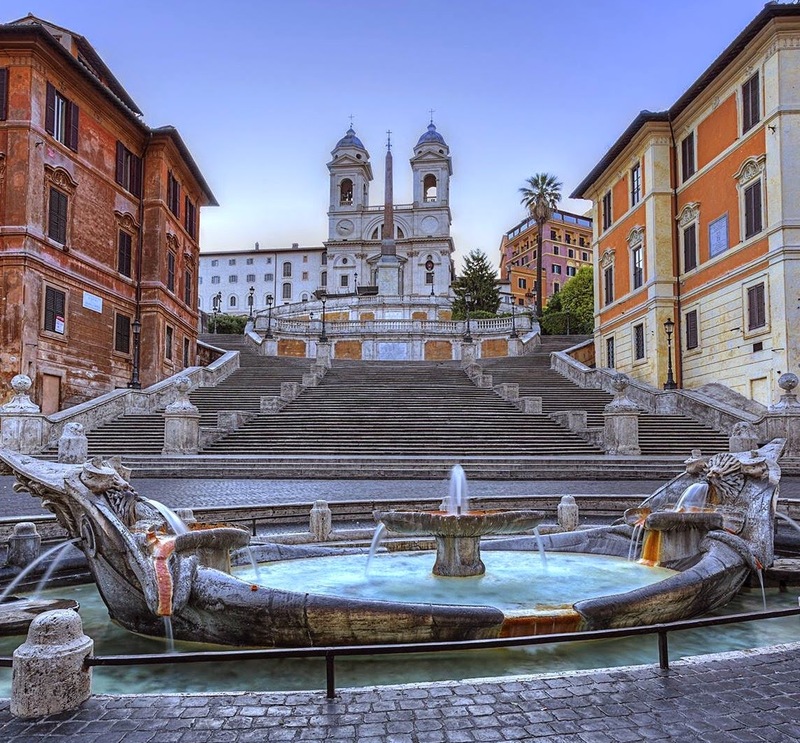 Trastevere is the Ancient part of Rome said Gabi as if to explain it all. I returned the next day with a friend, to find the shutters undamaged, closed and everything peaceful! I moved my few belongings, a bag and guitar, to a Doctor friend of Gian Carlo's before hitting the streets of Rome again, and the next adventure." .....I left Doc Roberto's after a restless night on his leather sofa and met up with San Francisco Pete on the Steps (he'd had a bad dose of Amore for a week!). I got my guitar out of its case for the first time since the incident and noticed some new deep scratches on the headstock - three letters - "ILS"! !